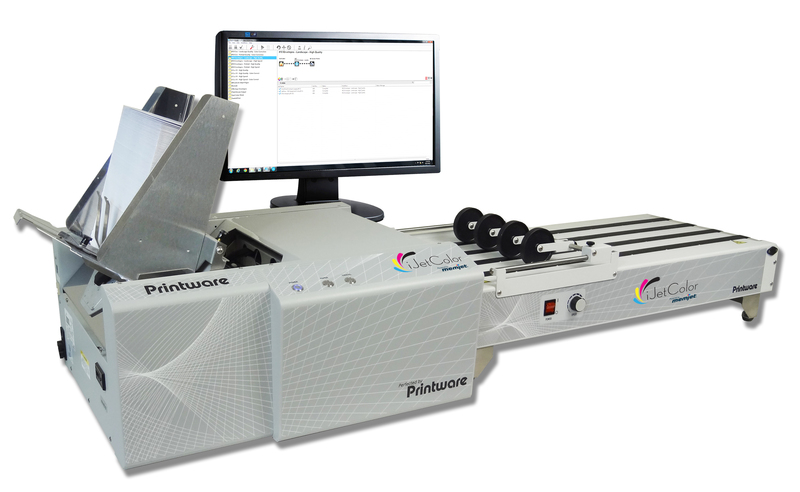 The iJetColor 4.0 Digital Envelope Press, powered by Memjet® and perfected by Printware®, makes managing and executing inkjet print jobs easy and profitable. The base model’s prints areas up to 8.5” x 17” with full bleed. With Memjet® thermal inkjet technology and the capability to print up to 12 inches per second, you might have to see this envelope press in action to believe its capabilities.